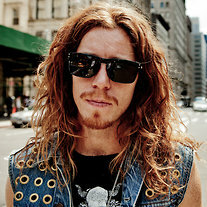 Shaun White is a global snowboarding icon that has been a member of the Oakley family for over a 10 years!!! He was born with a congenital heart defect for which he endured two open-heart operations before the age of one. He is the first person to compete in and win both the Summer and Winter X Games in two different sports – Skateboarding and Snowboarding. At the age of seven Shaun entered and won his first snowboard contest and by 13 he turned Pro. At only 15 he captured his first major pro win at the Oakley Arctic Challenge and less than a year later he earned his first Winter X Games medals; gold in both the Halfpipe and Slopestyle events. Today, Shaun holds a record-breaking 11 Winter X Games gold medals, two Winter Olympic Halfpipe gold medals, and a ton of other honors from contests around the globe. Shaun takes a creative approach to everything he does. Off the slopes he, in collaboration with Oakley, released Oakley’s first ever Signature Series Snow Goggle, the fourth reincarnation of which is soon to be released. Shaun was also the first athlete to co-design an Oakley sunglass, which he named “Montefrio,” after the street he grew up on in San Diego, California. Since then, Shaun’s collection has grown to include the lifestyle glass, HOLBROOK, a limited run collector’s edition of Oakley’s timeless FROGSKINS, and a new Signature glass the JUPITER LX. He has accomplished soo much and soo young, keep an eye out for what he is going to do next! This entry was posted in Oakley Sunglasses, Sports News!, Sports Profile, Uncategorized. Bookmark the permalink.